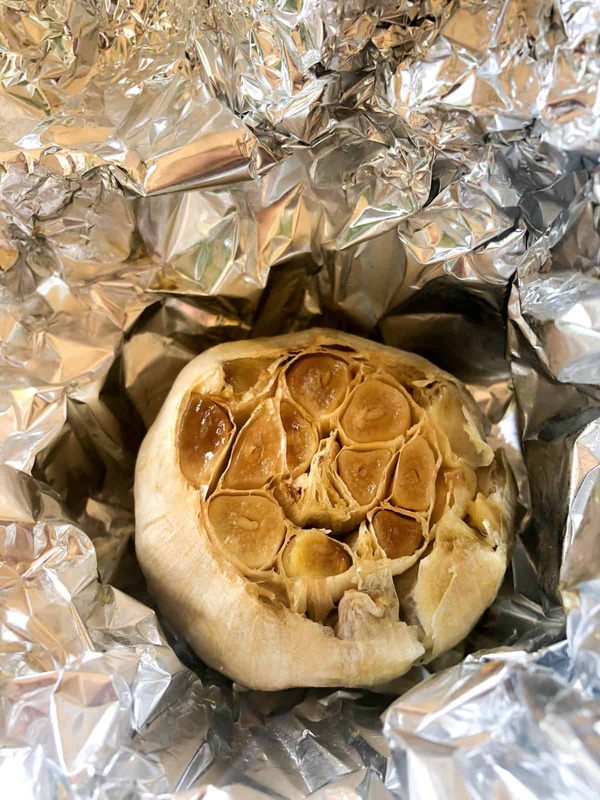 It’s no secret that the way to my heart is with garlic. 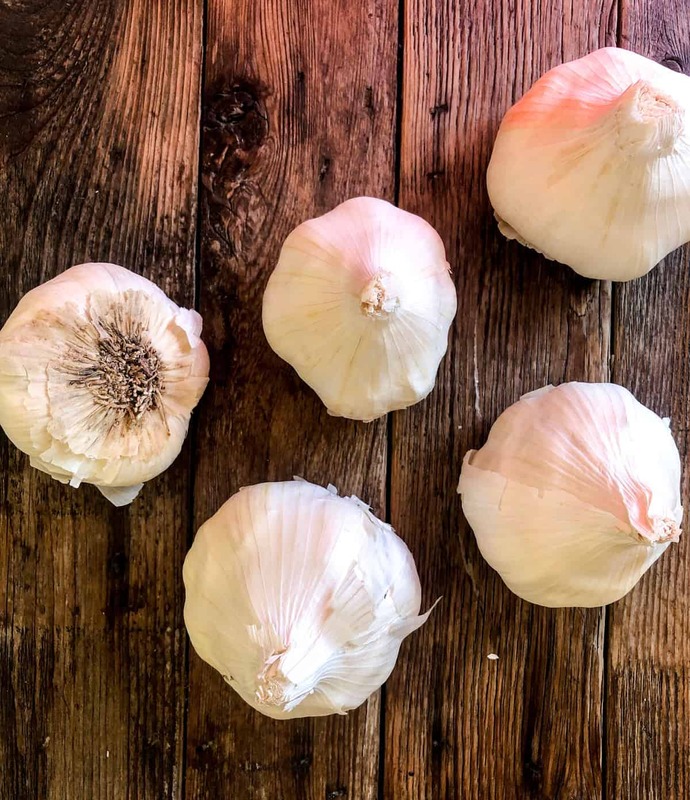 It’s my favorite aromatic and you can pretty much find me throwing it in just about anything…. 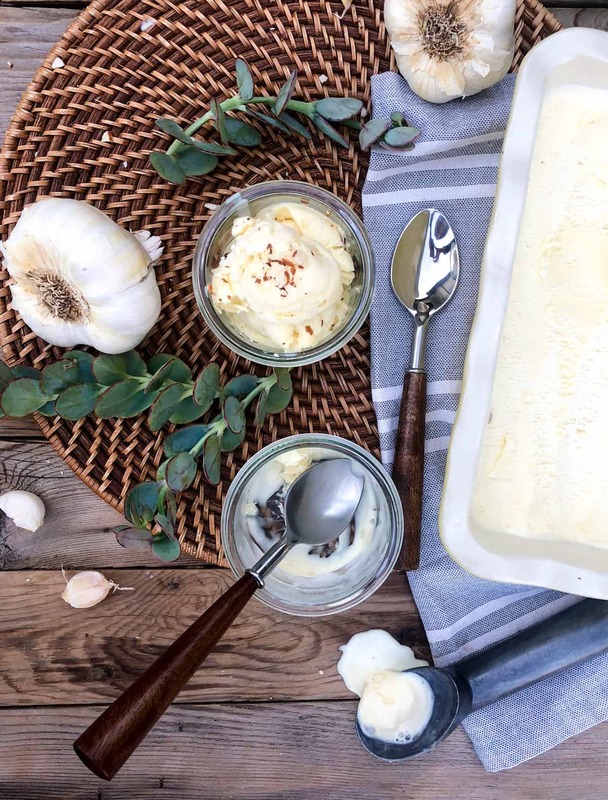 And while we are approaching the season of monsters and vampires, I thought it only fitting to make a garlic ice cream…. 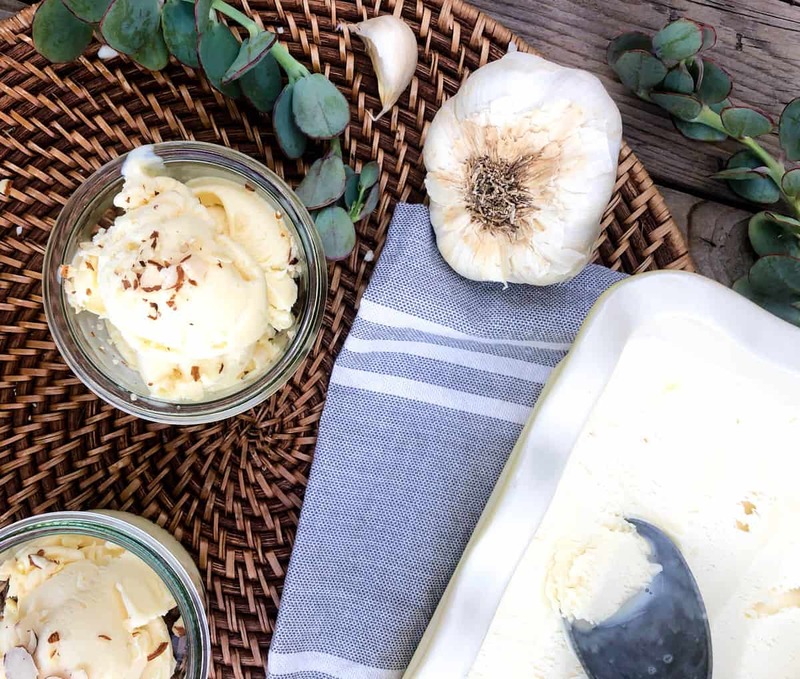 The garlic flavor is surprisingly subtle, thanks to the roasting method, and the creamy texture of the ice cream is the perfect backdrop to showcase the loveliness of this California herb. The nutty flavor that emerges is amazing! Pour the garlic mixture into the saucepan and heat through. Cool in the pan after pressing plastic film over the top to keep a skin from forming. 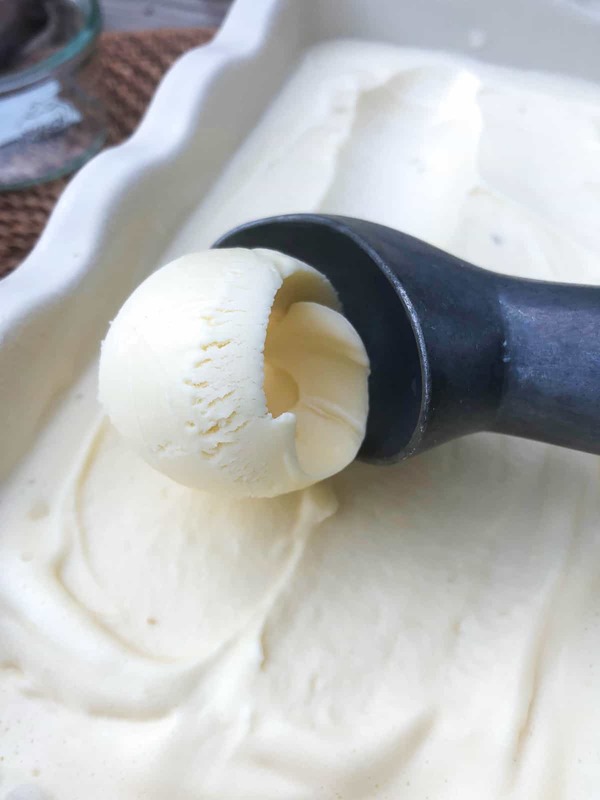 Once firm, scoop and enjoy! 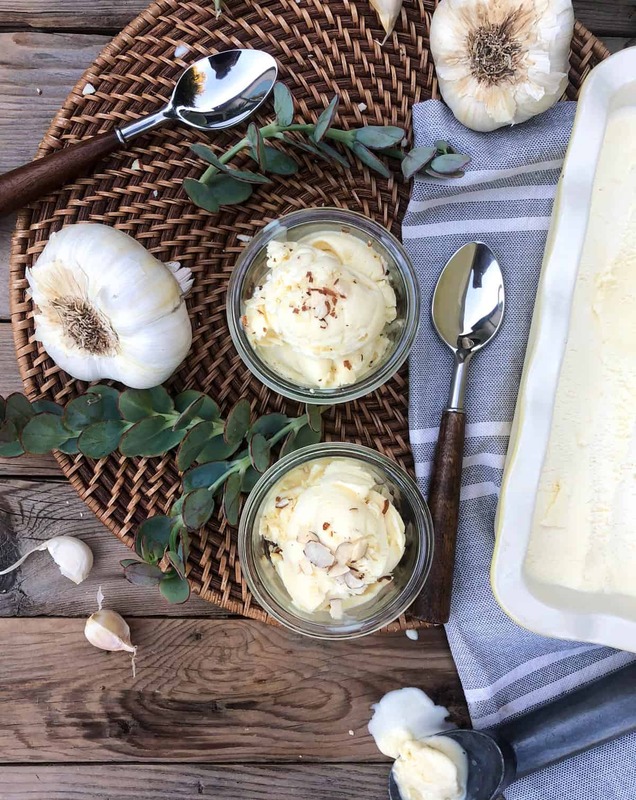 I topped mine with toasted, sliced almonds. 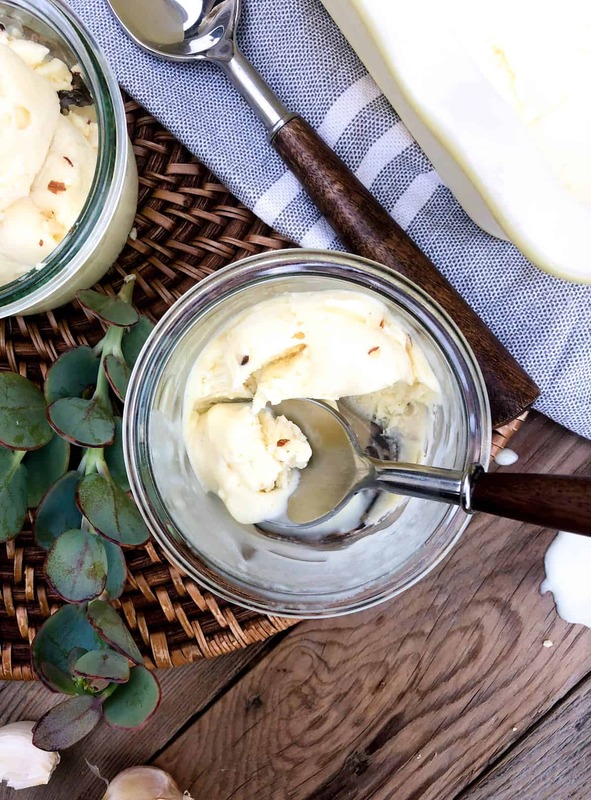 The crunch is fabulous against the creaminess of the ice cream! 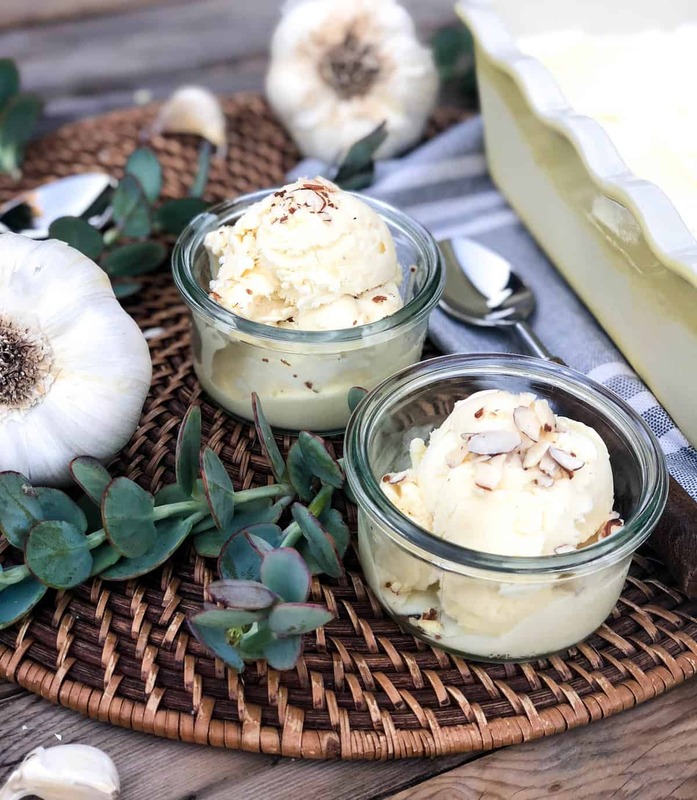 So, if you want to keep the vamps away this Halloween, or if you want to enjoy a perfect Fall treat, take the time to make this fabulous dessert. Heat oven to 350°. 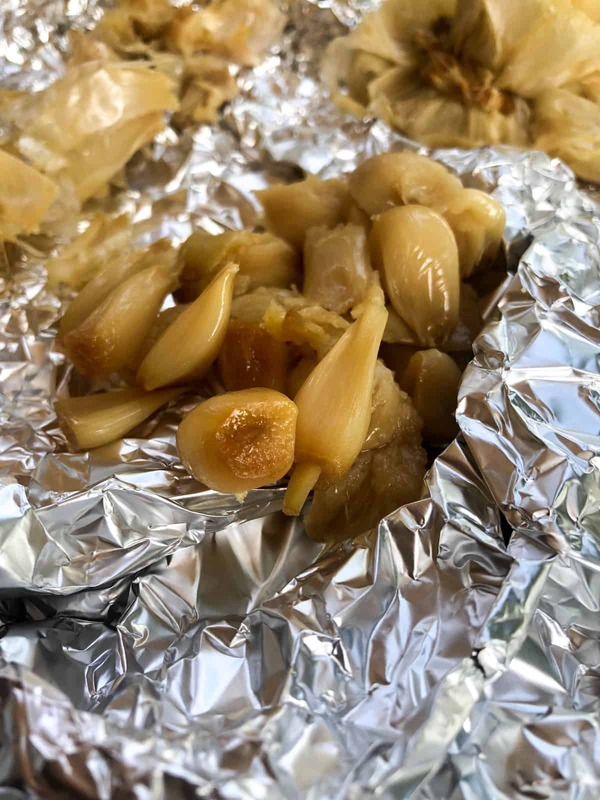 Slice top of garlic head off and set cut side up on a double layer of aluminum foil. Drizzle with oil and 2 tbsp. water; wrap into a tight package. 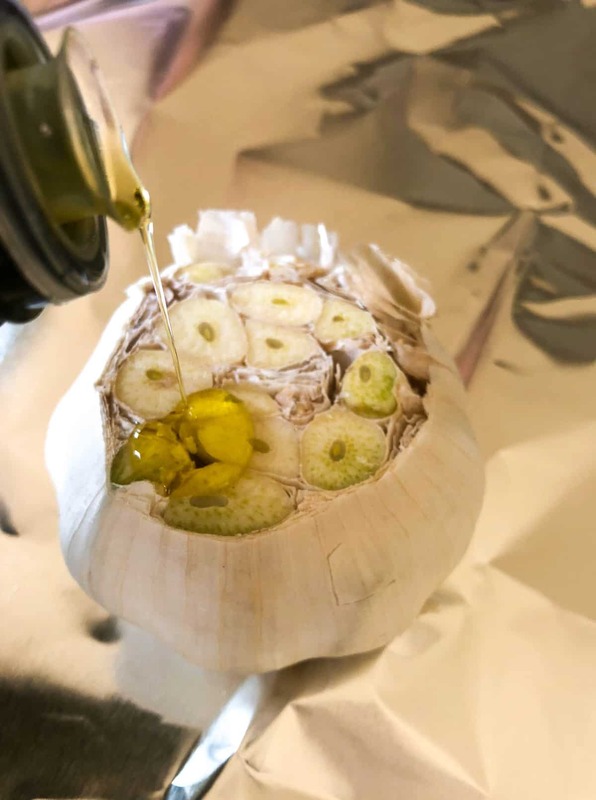 Bake until cloves are very tender, about an hour; let cool slightly. 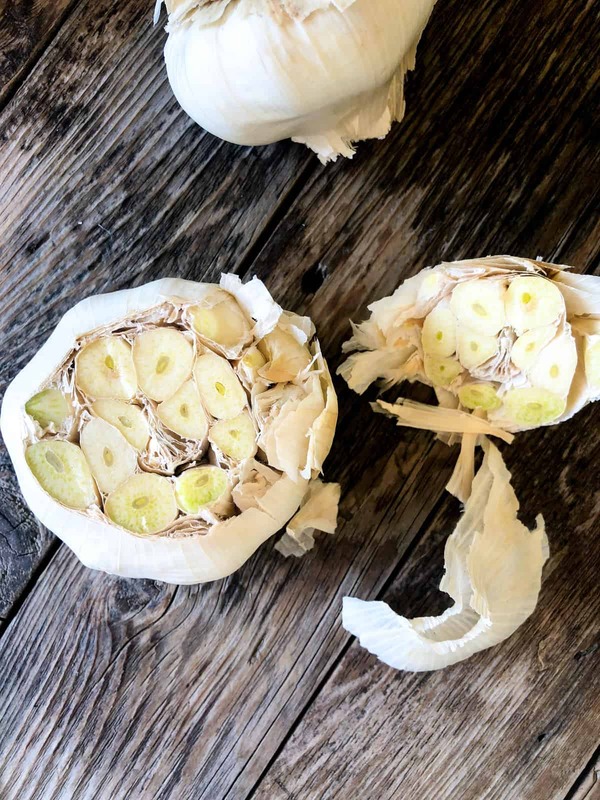 Squeeze garlic cloves from bulb into a blender; set aside. 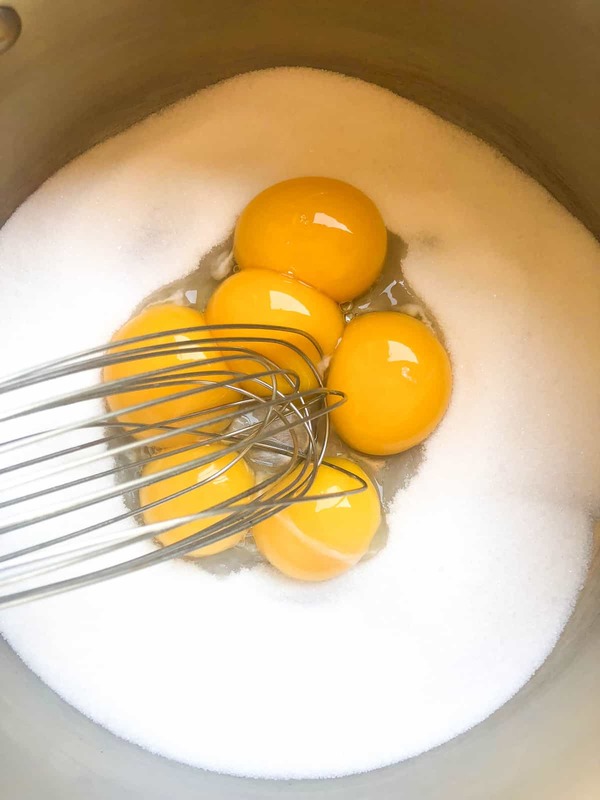 Whisk sugar, salt, and yolks in a 4-qt. saucepan until pale yellow, about 2 minutes. 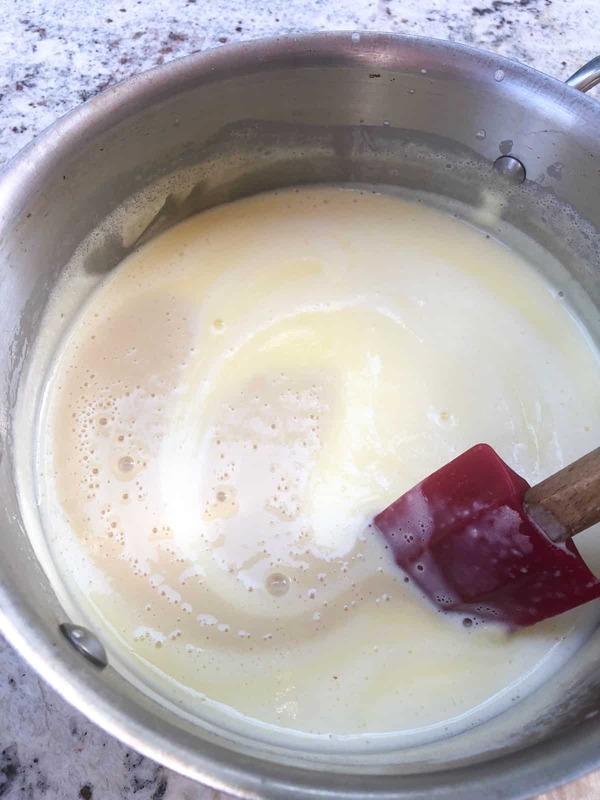 Stir in milk and cream; cook over medium, stirring occasionally, until thickened and mixture coats the back of a spoon, about 10 minutes. 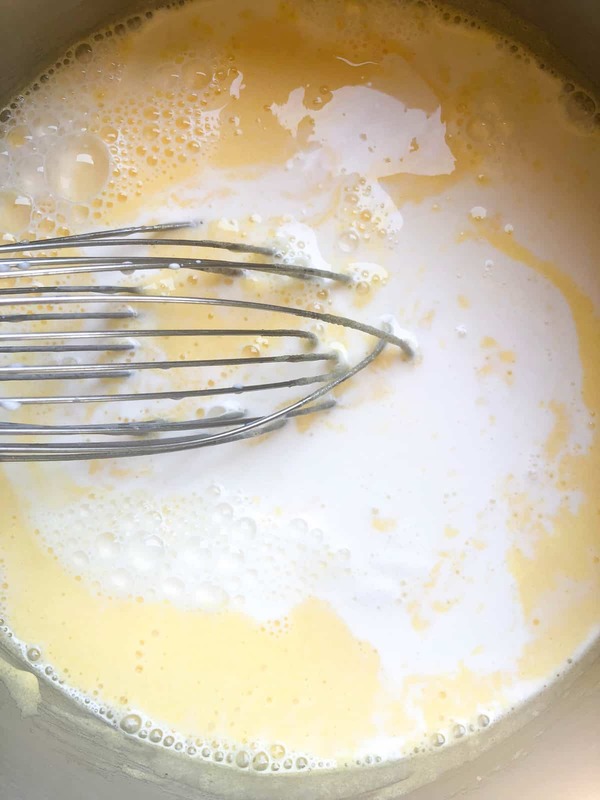 Transfer 1 cup custard to blender with garlic and the vanilla; purée until smooth and stir into remaining custard. Cover custard with plastic wrap, pressing it against the surface of the custard; chill. 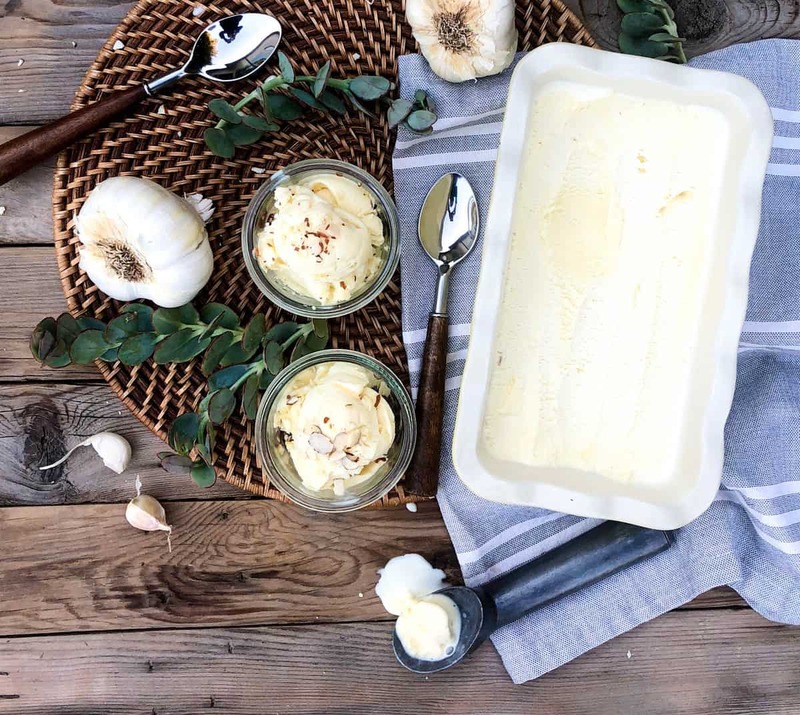 Pour into an ice cream maker and freeze according to manufacturer's instructions. Transfer to an airtight container and seal; freeze until set, about 4 hours.